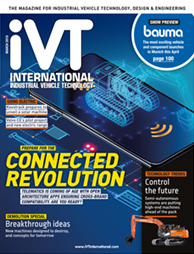 Uwe Müller, chief project manager for advanced engineering at Volvo Construction Equipment, discusses how the Electric Site project shows the way for electrification and automation of off-highway vehicles. How close to commercial viability was the Electric Site project – both in terms of automation and electrification? We are now examining the project results to see if the concept is viable for the industry. 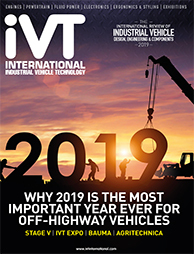 The Electric Site project will certainly feed our future product development plans, and you can expect to see elements of these machines influencing Volvo CE’s future offering. This decision about commercialization has not been taken yet and depends on several factors, like customer and market acceptance, technology maturity, but also legal demands. What we can say at this stage is that we believe in this concept, and together with early adopters we will continue our journey. Many of our development projects are currently done in close cooperation with customers, and we can only see this increasing in the future. How did the project deal with the problem of keeping electric machines charged throughout the day? The charging of heavy equipment is a challenge for sure. On average, battery energy density improves by 5-8% every year, as does cost reduction. However, with breakthroughs in new battery technologies, we can expect energy capacity to more than double. 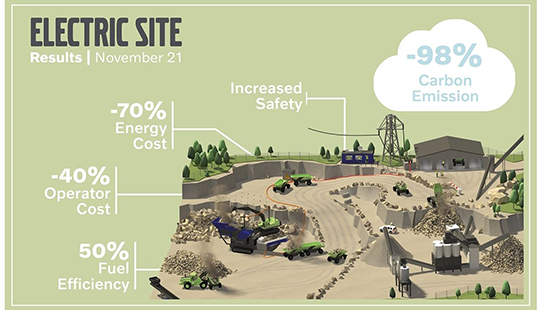 Thanks to research projects like Electric Site, electric power is being tried and tested, which allows us to explore the best options. 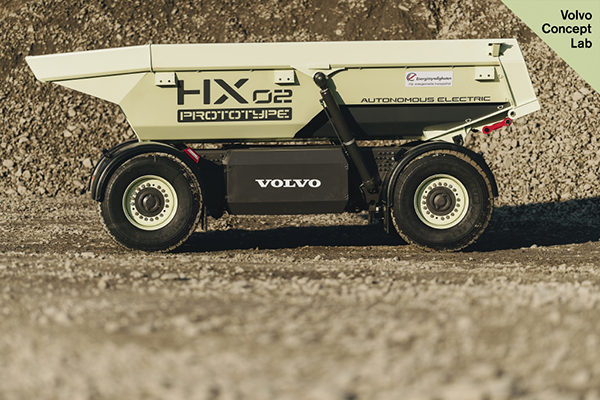 The machines that were part of the Electric Site – the HX02 (autonomous battery-electric load carrier) and the LX1 (hybrid wheel loader) – use Li-ion batteries – the same ones that are fitted to Volvo hybrid buses. The EX1 machine, on the other hand, is cable-connected – it doesn’t have a battery. It can either be powered by the grid or by its diesel engine. As it was plugged in to the grid during testing, the engine was never used, and it was running in zero-emissions mode. For the HX2, two battery packs power two electric motors, which then drive the machine. The hydraulics are driven by an additional electric motor. We solved the charging issue by charging the machines with high-power charging (approximately 150kW) approximately one minute every cycle, with cycle times varying between 7-10 minutes. 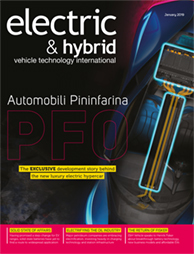 How will it influence current and future Volvo CE products? The Electric Site project will feed our future product development plans, and you can expect to see elements of these machines influencing Volvo CE’s future offering. The main purpose of the project is to have the possibility to show what we are working on in the early stages of development. In addition, demonstrating our way of thinking allows us to have discussions with many different stakeholders and customers in all kinds of different applications. These discussions will help set our future directions and partnerships. 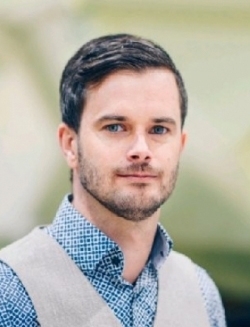 Uwe Müller will give a presentation titled Electric Site: the future of quarries is electric as part of the Electric & Hybrid Industrial Vehicle Technology Conference. Click here to book your delegate pass, which gives you access to all four conferences. For more on the Electric Site project, watch the video below.